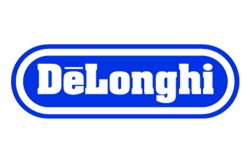 De’Longhi is an Italian manufacturer of small domestic appliances for the kitchen and the home as well as commercial HVACR systems. The brand is well-known for their product designs, having won awards and recognition worldwide. Part of their kitchen appliances is a line of indoor grills. This indoor electric grill is one of the best in the market. It’s also quite uniquely designed. Unlike other indoor grills at this price point, the Perfecto Indoor grill doesn’t have a metal lid or hood. Instead, you get a tempered glass lid that is entirely separate from the body of the grill. Also unlike most indoor grills these days, the non-stick grill plate is not removable. Instead, it is made with a fully embedded heating element. And because the plate Moreover, the grill plate is also quite different. It is designed to be similar to a traditional grill grate rather than a plate. With the design of the grill, the grease falls down into a large non-stick drip tray located below the cooking surface. Another notable feature of the Perfecto Indoor grill is a detachable, adjustable thermostat that has five settings (low to high, no actual temperature shown). In addition, the grill has an indicator light that lets you know when it is on and heating up. One last feature to take note of is the non-stick splatter shield placed around the edge of the grill to prevent the grease from . The Perfecto Indoor grill has a lot of great features that enable you to enjoy tasty results minus the usual hassle of cleaning a grill. Of course, clean up would be even better with a removable grill plate but it’s still easy. The temperature can fluctuate at times but the food still gets cooked beautifully. All in all, the Perfecto Indoor grill gets the job done well. At this price point, you’d expect a lot more from the De’Longhi 5-in-1. At the very least, the markings on the control shouldn’t fade away just from cleaning it with a wet cloth. Without the markings, you’re left with a very difficult grll to operate as you have no idea what temperature the grill is at. You’ll have to guesstimate how hot the grill is and probably ruin a few meals before getting it right. That’s too much of a hassle for most people. Faded markings aside, the grease splatter and the lack of attachment for the grease drip containers lessen the impact of having dishwasher-safe grill plates. Also, the grease drips down the back of the grill whenever you use it as a contact grill so there’s that mess to clean up as well. While the plates are easy to clean, having to clean other messes in and around the grill just lessens the “convenience ranking” of this grill. While the De’Longhi 5-in-1 does remarkably well in cooking various types of foods, there is much to be improved here. There are other grills that cost less but cook the same quality food. While this kitchen appliance is more well-known as a sandwich maker, it can also function as a contact grill for your chicken, burgers, and steak. versatile sandwich maker that can also grill burgers, steaks, chicken, fish, and other meats. adjustable hinge opens the grill and allow the top of the press stand straight at a 90-degree angle. It also allows the grill to accommodate food of various heights/thickness. the temperature control knob as well as the gauge lets you set how hot your grill should be. The indicator light turns green once the grill reaches your desired temperature. safety features include a heat-resistant handle and a safety locking system. The outside of the grill remains cool to touch to avoid burning your fingers while the grill is cooking. the grooves on the grill plate are a bit too far apart for some types of sandwiches (grilled cheese for instance) so you sometimes get an unevenly cooked one. The DeLonghi Contact Grill & Panini Press is a more versatile kitchen appliance than other sandwich makers. The temperature control also allows you more cooking flexibility. Its large cooking surface is a big bonus for those who want to cook for more than just two people at a time. While it is easy to clean, the grill/panini press can be improved with making the grill plates removable and dishwasher-safe. Despite the uneven temperatures, the results from this particular indoor grill are still pretty tasty. 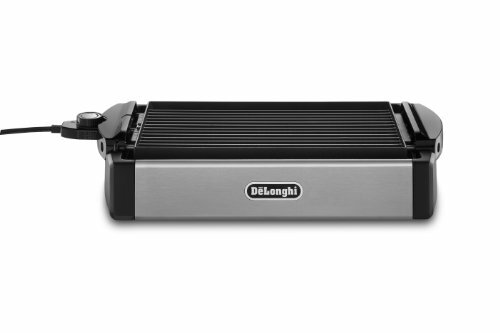 Unlike other indoor grills that come with interchangeable plates, this indoor grill from DeLonghi offers a reversible one – one side is ribbed for grilling meats and fish while the other side is flat for cooking vegetables, eggs, pancakes, bacon, and the like. 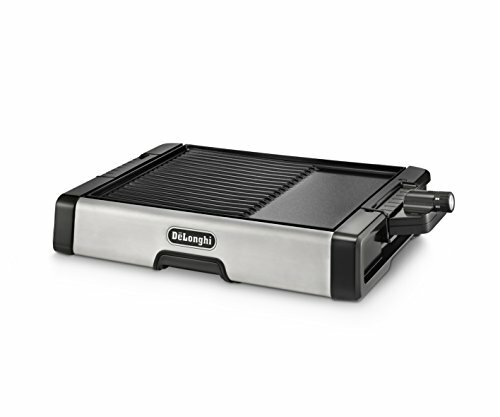 The reversible grill and griddle plate is made of heavy-duty die-cast aluminum with an embedded heated element that is removable and dishwasher-safe. The grill also features an adjustable temperature control that ranges from 200 degrees to 400 degrees Farenheit (from keep-warm to sear setting). the grill cooks really well, right up there with the Perfecto Indoor grill that’s around half the price of this one. the ribbed side of the grill plate has grooves that are high enough that the food doesn’t touch the grease. The grease flows down to the drain holes located on the end of the left side of the grill; the right side sits a bit higher so the grill will flow towards those holes. the grill is very easy to clean because the tray and plate are removable and dishwasher-safe. the plastic base acts as a barrier or guard from getting accidentally burned by the heating grill/griddle plate if you bump your arm on the grill. 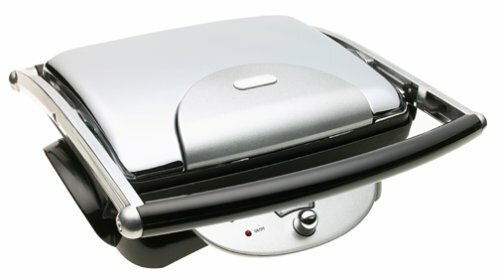 The DeLonghi BGR50 Reversible Grill/Griddle is a very good grill and an even better griddle. While the grease drainage system could be improved and the temp settings listed better, the results of cooking on this indoor grill have been delicious. Cleaning the grill isn’t a problem but the grease splatter can become a deterrent from using the grill side too often. If you’re looking for a traditional indoor grill with no extra function/feature, then this may be too expensive for you. But for those who want to a multipurpose appliance, this grill offers great value for your money. If the reversible grill/griddle plate isn’t your thing and you’d prefer to cook a variety of foods at the same time, DeLonghi has another multipurpose grill for you – the 2-in-1 Ceramic Coated Grill and Griddle. Instead of having two sides, this grill makes use of only one side which is then divided into two parts. 2/3 of the plate is ribbed for use as a grill. 1/3 of the grill is flat to be used as a griddle. This unique design allows you to cook burgers on the grill side while you cook some bacon and veggies on the griddle side so you have a full meal in one go. 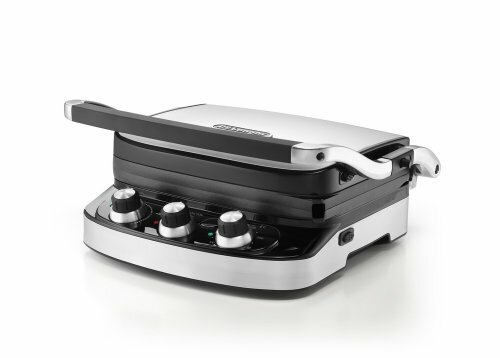 The DeLonghi 2-in-1 Grill and Griddle isn’t going to be for everyone. While the griddle cooks really light and fluffy pancakes, the grill has some problems with uneven heating (hot spots). While the plate and grease tray are removable, the rest of the grill still requires a bit of cleaning which is an inconvenience. While it does have an adjustable temperature control, it doesn’t list degrees so guesstimates are still going to be part of your cooking technique at least until you finally figure things out. The grill does give you versatility in terms of the foods you can cook at the same time but it still limits the amount of food you can cook for you and your family. The bulkiness of the grill can be a problem too if you don’t have enough counter space. All in all, this is a decent grill that cooks fairly well (better than some grills in this category). But is it worth it? It may be more than you’re willing to part with.